The Las Vegas Aces are returning for the 2019 WNBA season, and have unveiled their schedule of home games at Mandalay Bay Events Center. Fans can get tickets to see the Las Vegas Aces live beginning April 3 here at AXS. The Aces are entering their second campaign in Las Vegas, after relocating from San Antonio following the 2017 WNBA season. They'll be looking to make a much bigger splash in Las Vegas, with their debut season being a rollercoaster that included missing the playoffs by just one game and having the first forfeited game in WNBA history after spending 26 hours on the road. If not for these small mishaps, they could have been a blockbuster team; play the video above to watch some of their best baskets from last season, and you'll see how talented they are. In 2019, the team will be adding even more talent as they have the first pick in the WNBA Draft on April 10. 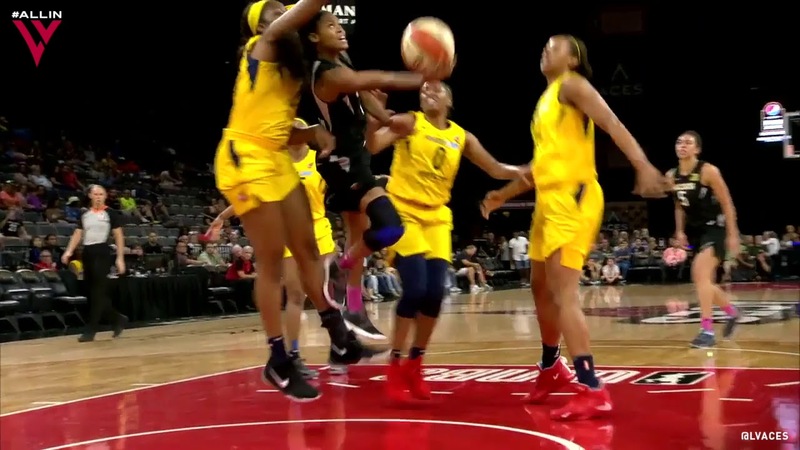 Last year's number one pick A'ja Wilson returns, as does Dearica Hamby, who re-signed with the Aces during the offseason. Wilson led the team in both points and rebounds last season on her way to winning Rookie of the Year honors, and Hamby had a 52.6 field goal percentage, making more than half of her two-point shots. There's some truly emerging talent on this Las Vegas Aces roster, and they're just a step or two away from having a significant impact on the WNBA. Luckily, AXS makes it easy for basketball fans to be there and watch live as the Aces prepare to make their next run at the WNBA championship. Tickets to Las Vegas Aces home games are on sale starting Wednesday, April 3 at 10 a.m local time, through the AXS event pages linked below. Ticket prices and more information are available on each event page. For more information on the Las Vegas Aces, including tickets to their upcoming games, visit their artist page at AXS.